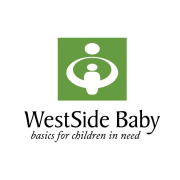 WestSide Baby, in partnership with our community, provides essential items to local children in need by collecting and distributing diapers, clothing, and equipment. The Pick-Up Assistant is an essential role on the WestSide Baby team to help ensure all items collected make it into the hands of children and families who may need it most in the Great Seattle community. Time Commitment: WestSide Baby’s "Provider Pick-Up Hours" are every Tuesday from 9am-noon. Ideally, we’re looking for on-going weekly assistance. Requirements--The right volunteer should be a "people-person" with good interpersonal and customer service skills, as well as a great attention to detail. Flexibility is also important, as you may be "cross-trained" in other volunteer tasks (such as sorting, and filling orders, etc.). Ideal volunteer candidates must enjoy an active work environment as there is often a lot of moving around (see physical requirements below). Physical requirements-must be able to physically stock shelves, move items from one location to another and load/ unload orders; must be able to lift 25 lbs. repeatedly, while often utilizing a ladder or step stool.